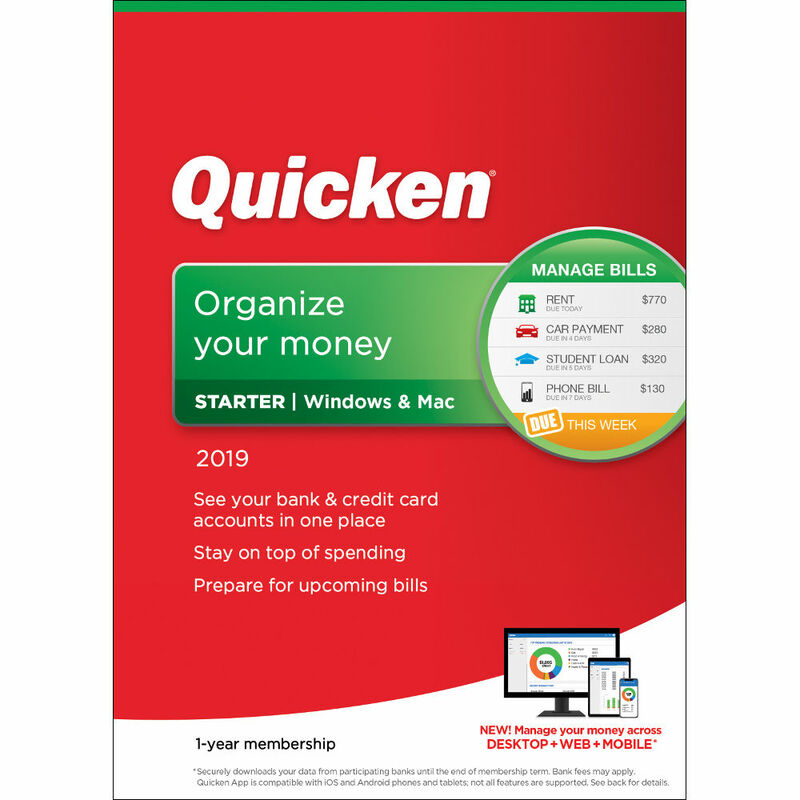 Your personal finances can be easily managed with the Quicken Starter 2019 from Intuit. The downloadable Windows software program can import financial data from over 11000 online institutions, including bills that are in the form of a PDF. It automatically categorizes income along with auto, utility, rent/mortgage, and other expenses, so you can create a balanced budget and see when upcoming bills are due. Furthermore, the purchase of this product comes with a subscription for one year, allowing you to monitor alerts and download data and future updates. New in the 2019 version of Quicken Starter is access to your data across a computer system, website, or mobile device. New information added to your records is automatically synced among the various access points. You can export register transactions to Excel and email reports all directly within Quicken. There's also a favorite Bill Pay in the new Bills dashboard. Quicken Starter 2019 (Download, 1-Year Subscription) is rated 5.0 out of 5 by 1. Rated 5 out of 5 by Michael from Excellent product! I have been using Quicken since it was first introduced in the 1980s. This version does not disappoint. Although it is a starter version it meets my needs as I am now retired and need only to keep a budget and track my finances. Recommend to everyone.